The Hertsmere Community Spaces, youth shelter has opened at The Moatfield, Bushy. 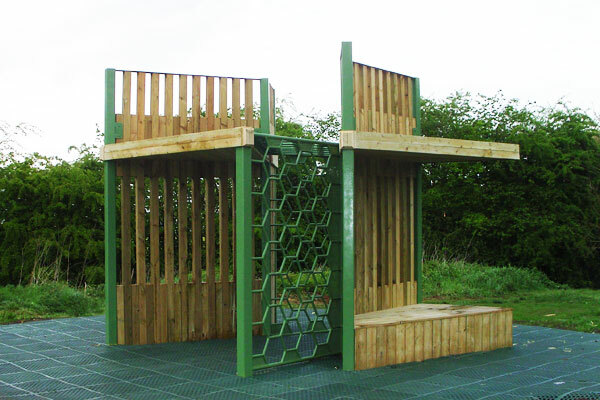 This permanent new structure can be used to climb the unique hexagon climbing bars, sit high and look out over the park, or simply hang out from . 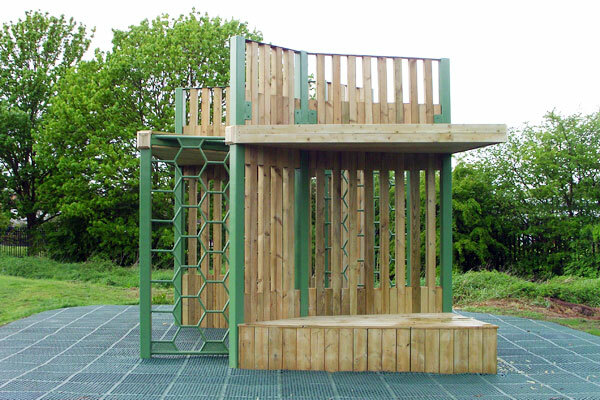 The shelter sits on a cross-roads of existing informal and formal pathways between the woodland strip and moat to the north, and the formal play area to the south. The area is surrounded by foliage which will reduce noise transference but can be seen clearly from across the park. Ground areas may be water logged during heavy rain and will need further investigation. The shelter has two seating spaces, one covered, one open. 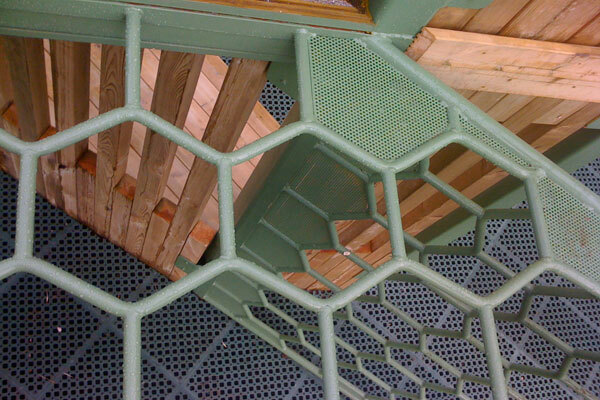 Running through the structure is a unique hexagon climbing strip which lets people climb up to the roof or can be used as monkey bars from below. 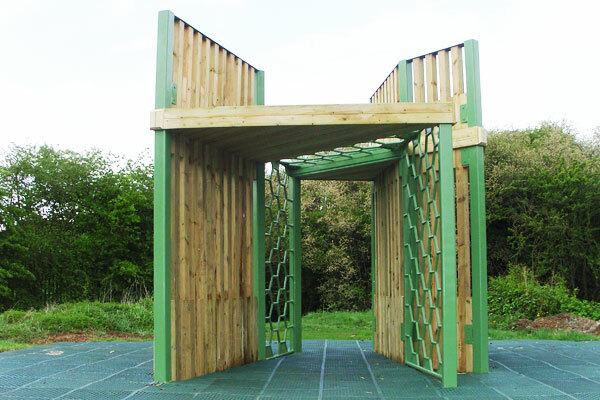 The structure is a robust steel sub structure with a soft wood cladding. The roof has softwood with anti-slip resin inserts. The fantastic fabrication was carried out by Mark Cosgrove Associates at The Scenery Shop. The Hertsmere Community spaces shelters have been installed at The Moatfield in Bushey, Furzefield in Potters Bar and Phillimore Recreation Ground in Radlett. Superblue worked on this project with Green Heart Partnership and the team of officers from the Parks and Amenities, Communications, and Community Services teams at Hertsmere Borough Council, Aldenham Parish Council, the Police and other stakeholders.